The Blue Weimaraner, a beautiful aristocratic dog, has been the center of controversy in the Sporting class world of the American Kennel Club since the mid 1940s. The first known blue Weimaraner was named Cesar von Gaiberg (aka “Tell”). Tell was born in Germany in 1947, and he was later imported into America. He soon became the center of the controversy surrounding his bluish coat. 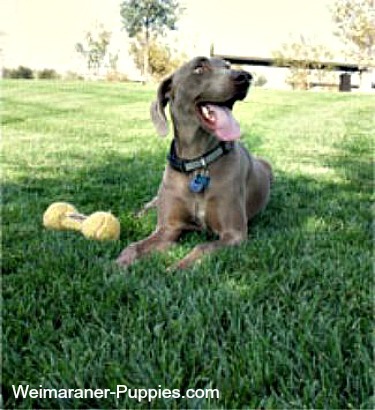 The Weimaraner coat color referred to as “blue” is not really blue. It’s actually a dark charcoal gray, sometimes with hints of bluish tones. The Blue Weimaraner has a coat that is very similar to the blue-black coat of a Great Dane. considered by some people to be inbred and inferior. 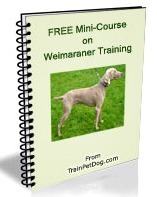 Learn more about Weimaraners in this FREE mini-course on Weims. Here’s what the controversy is about…Some people regard the Blue Weimaraner coat color as a rarity. Others are sure that this particular Weinheimer coat color is a result of severe inbreeding. Regardless of anyone’s opinion, the AKC (American Kennel Club) has officially deemed a distinctly blue or black coat to be a disqualification. And, in addition, the WCA (Weimaraner Club of America) considers the breeding of Blue Weimaraners to be unethical. However a blue weimaraner can be registered with the AKC and is considered to be a purebred, as long as the puppy’s parents were AKC-registered. A blue Weim is allowed to enter any American Kennel Club event. However, it really isn’t competing—because it will be disqualified because of its coat color. 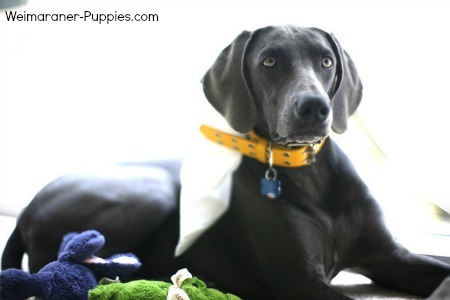 Where Did the Blue Weimaraner Come From? Regardless of which theory you subscribe to, it’s safe to say that a Blue is just as good as a Gray or Silver Weimaraner. Especially if you are looking for a family pet. There is no evidence to support the theory that a Blue is more sickly just because of its Weimaraner coat color. Is a Blue Weimaraner for You? Thinking about getting a blue Weimaraner? Throw the controversy out the window. I’m assuming you have already done your research to determine that the Weimaraner breed is right for your. And maybe you’re just fond of the way the Blue coat looks. Many people are. I’ve considered getting one myself (although I chose to stick with the Silver). But I understand why you are interested in this particular Weimaraner coat color. They really are beautiful, no matter what color you choose. 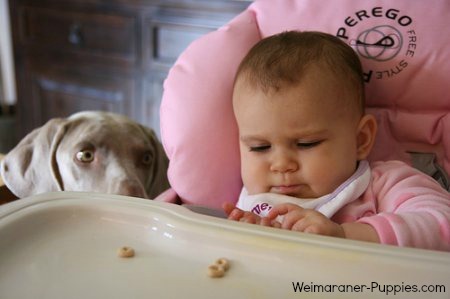 At any rate, a Weimaraner is a Weimaraner. 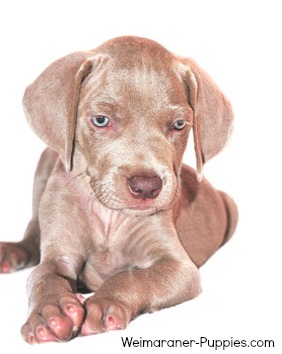 And coat color should not determine the value that a Weimaraner has, as a pet and companion.